With spring break just around the corner, you might be looking for a fun family trip to take without going too far. In the first of two posts on one-tank family road trips, let’s take a trip down 71 South to Columbus. There are tons of things to do as a family in Columbus, plus it is an easy, not-too-far drive, making this a great choice for a day trip or even a weekend. The recently-opened Legoland Discovery Center at Easton Town Center offers tons of hands-on, LEGO and DUPLO fun for a wide age range. From a building area to a LEGO City Play Area to rides to a 4-D Theater, there is so much to explore, see and do. Plus, Easton Town Center offers a ton of entertainment options itself, including a movie theater, restaurants and shopping. Particular family favorites include Graeter’s Ice Cream and the American Girl Store. The Columbus Zoo and Aquarium is huge and offers amazing, up-close animal encounters sure to add some wild fun to your spring break. Similar to the Cleveland Metroparks Zoo, there are animals that thrive in colder weather, so even if it’s not feeling spring-like, there is still plenty to see. And if you’re a zoo member at either the Cleveland or Akron zoo, you’ll save on your admission! COSI (Center of Science and Industry) is also a perfect family road trip stop, with enough to keep you busy for at least an entire day! From dinosaurs to engineering feats to space exploration to a kids play zone, there is something for every interest at COSI. Its current special exhibit is Mythic Creatures: Dragons, Unicorns, and Mermaids, so if you’re kid is as obsessed with “How to Train Your Dragon” as mine is, this is a great choice. 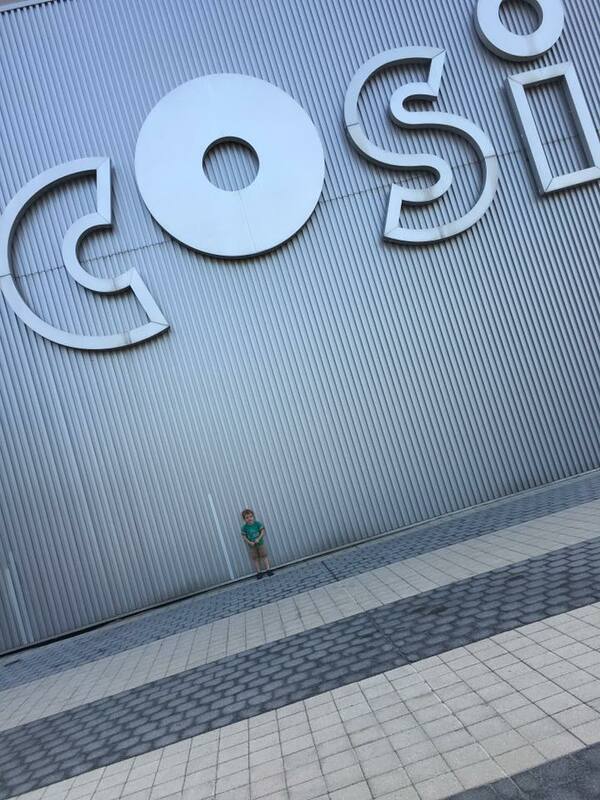 If you’re a member of the Great Lakes Science Center, you can save on your admission at COSI! One of our favorite places to eat in Columbus is Cap City Fine Diner and Bar, which has multiple locations in the area and haute comfort food that will please every palate. While you’re going down (or heading home), don’t forget a stop at Grandpa’s Cheesebarn & Sweetie’s Chocolates near Ashland, always a great place for some road trip snacks and a leg stretch. Safe travels this spring break. And remember, school break fun can be found just a one-tank trip away! Next article What’s Your Child’s Natural Talent? Encourage it! Jen is a born-and-raised Cleveland girl who is dedicated to experiencing and celebrating all the wonderful places in town, with her son Jeffrey, her husband Matthew, and a cavalcade of the best gal pals you could ever want. Jen owns her own consulting business; blogs for her own site, as well as Northeast Ohio Parent and Cleveland Plus; and holds board positions with Playhouse Square Partners and the John Carroll University Cleveland Alumni Chapter. She likes to say she wears many hats, all of them sparkly. Oh, and Jen is a big fan of all things sparkly, festive, and fun! Join her as she continues to find new and exciting things to do in the city we proudly call home!